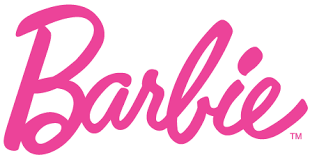 When I saw that Barbie had released a new ad trying to re-focus their marketing strategy on a more career-minded aspect of what Barbie can do, I was pleasantly surprised. I have fond memories of playing things like school with my barbies as a child, and I think that kids today aren’t making those same kinds of memories because Barbie has had a tumultuous history lately so parents aren’t buying them as much as they did in the past. Nowadays, every new character has a doll representation and kids are more interested in the characters anyways. Both of these things have led to a drop in Barbie sales, down 14% in 2014 alone. It’s about time that Barbie decided to appeal to not only the many careers Barbie has had but also to the imagination aspect of the doll. This ad is a perfect portrayal of how young girls feel when they are pretending to be a soccer coach or a teacher . Speaking from experience, as a child there is nothing that your imagination can’t offer you and when you are in a make-believe world, the difference between reality and imagination doesn’t seem so strong. Those moments playing pretend with things like Barbie are what plant the seeds for future aspirations. I am constantly encouraging my daughter to play with her toys versus watching some electronic device (although we are guilty of this one, too). And it always makes my heart smile to hear her in her room playing with her dolls and lost in her imagination. There is no better place to be lost. So will this ad make me buy my child a Barbie this holiday season? Probably. It succeeded in reminding me of why I used to play with Barbies. Will I address the lack of diversity in the realm of how Barbie looks before I buy one? Definitely. That is my main concern when buying toys that my child will want to emulate. I am absolutely not against buying a wide variety of dolls that all look different, but I am against supporting a company that does not offer a wide variety. Every little girl wants to have a doll that looks like her. So I will definitely be checking that out before I buy, and I hope that Barbie doesn’t disappoint. What do you think of this ad? Would you purchase a Barbie for your child? Do you think it was a smart marketing ploy? Let me know in the comments! This entry was posted in Dani, Other Stuff and tagged Barbie. Bookmark the permalink.